Four legged (3101) teak Ant Chair. 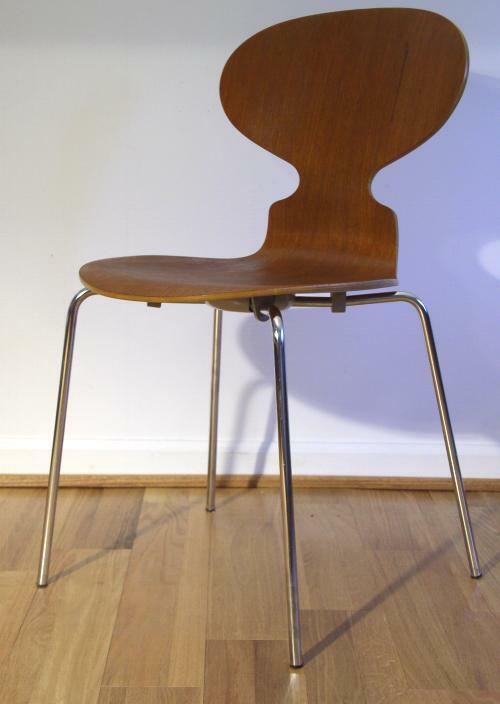 Designed Arne Jacobsen 1952 manufactured by Fritz Hansen in Denmark 1976. Good condition - no stress cracks.